On 22 March 2019 a group of important international NGOs (Amnesty International, ARTICLE 19, FORUM-ASIA, DefendDefenders, Center for Reproductive Rights, Human Rights House Foundation, Human Rights Watch, International Commission of Jurists, and the FIDH) published a joint assessment of the main result of the 40th session of the UN Human Rights Council including the adoption by consensus of the resolution on environmental human rights defenders, continued Council scrutiny over Sri Lanka, Myanmar, South Sudan, Syria and Iran, as well as initiation of Council action on Nicaragua and several joint statements on Saudi Arabia, Chechnya and Cameroon. Ten leading human rights organisations* welcomed significant Council outcomes at the 40th session such as a strong consensus resolution recognising the critical role of environmental human rights defenders [see: https://humanrightsdefenders.blog/2019/03/23/human-rights-council-recognises-vital-role-of-environmental-human-rights-defenders/] and the continued and increased scrutiny by the Council over a range of situations of rights violations across the globe. The organisations also expressed their concerns over the Council’s failure to hold the Philippines, Egypt, Libya and China accountable and urged States to take action at upcoming Council sessions. We welcome the positive step the Council has taken in the direction to effectively protect environmental human rights defenders (EHRDs). By adopting the resolution by consensus, the Council has collectively and explicitly recognized the vital role of EHRDs, including in attaining the SDGs sustainable development goals and ensuring that no-one is left behind, and called for their protection. ……..
..We welcome the joint statement on Chechnya delivered by more than 30 States and join the call on the Russian authorities for the persecution to stop: for the immediate and unconditional release of all detained for their actual or perceived sexual orientation or gender identity, and for swift, thorough, and impartial investigations. We regret that States have yet again failed to initiate Council action on the Philippines amidst continued unlawful killings in the government’s so-called war on drugs, and increased targeting of independent media, civil society organisations, and human rights defenders. ………. …….We applaud Mexico and other States’ resolve to safeguard the independence of the mandate of the Special Rapporteur on the promotion and protection of human rights while countering terrorism and to resist any attempts to dilute, distract or distort its essential focus, ensuring that the Rapporteur can continue to have positive impacts both in preventing and responding to human rights violations committed in the name of countering terrorism and in relation to the human rights of victims of terrorism. We urge States to remain vigilant to resist future attempts to undermine the Special Procedures system – the eyes and ears of the Council. We welcome the renewal of the Special Rapporteur on freedom of religion or belief mandate, and the maintenance of consensus on the Council resolution 16/18 framework for addressing religious intolerance . Rising intolerance and hate is a global concern, and States must move beyond rhetoric to action in implementing these standards. Cao Shunli died five years ago – how many more before there is a change? ...This week is an opportunity to pay tribute to Cao Shunli, but also importantly, for the international community to speak up and remind the Chinese government of its obligations to safeguard human rights. On March 15, the UNHRC will be meeting to adopt a final report on recommendations made in November during China’s third Universal Periodic Review (UPR). ……States can use Friday’s meeting to speak out and pay tribute to Cao Shunli and all those who have died under Chinese police custody, reject China’s denials made during the UPR over its rights abuses in Xinjiang, and build momentum towards passing a resolution on the human rights situation in China……..Since the council’s creation in 2006, there has not been a single country-specific resolution directed at China despite a worsening rights situation. It’s time for the UNHRC to end its double standards and mandate an international fact-finding mission to look into the credible reports of internment camps in Xinjiang. Many human rights defenders, like Cao, and ethnic and religious minorities have died in Chinese custody due to torture or deprivation of medical treatment. China’s only Nobel peace prize laureate Liu Xiaobo, Uighur scholar Muhammad Salih Hajim, and Tibetan monk Tenzin Delek Rinpoche all died in police custody in recent years. Others, like detained citizen journalist Huang Qi, await such a fate without urgent intervention. Police have denied Huang, who has kidney and heart diseases, medical treatment and have repeatedly beaten him in custody. His condition has deteriorated to the point where supporters fear he may become “another Cao Shunli” and UN independent experts recently expressed concern he might die in detention. Ten other Chinese activists, journalists, scholars, and lawyers are on a medical watchlist of political prisoners, launched after Cao’s death to draw attention to China’s practice of torture by withholding medical treatment…………..
It’s no coincidence that following a weak response internationally to the deaths of prominent human rights defenders and a widespread crackdown on civil society that the Xi government felt confident enough to establish a system of mass internment camps for ethnic Uighurs and Muslims and turn the Xinjiang region into a “no-rights zone”. Human rights defenders and ethnic and religious minorities in China face real risks for standing up to the Chinese government. They don’t pay with lost trade deals but with their lives. The risks of speaking out in defence of human rights and fundamental freedoms in China include losing your job, your home, your family, or being disappeared, arbitrarily detained, tortured, or even killed. Cao Shunli said before her death: “Our impact may be large, may be small, and may be nothing. But we must try. It is our duty to the dispossessed and it is the right of civil society.” States should remember her spirit and not be afraid to speak truth to power. Note that on 14 March a group of UN experts have renewed their call for a comprehensive and independent investigation into her death by Chinese authorities (https://www.protecting-defenders.org/en/news/china-un-experts-renew-calls-probe-death-cao-shunli). Based on the – as usual – excellent briefing by the International Service for human Rights on the key issues on the agenda of the 40th session of the UN Human Rights Council (starting on 25 February 2019), I am focusing on the items that concern human rights defenders most. 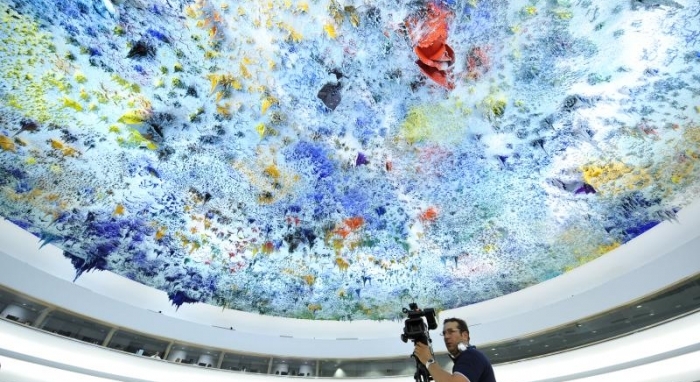 The UN Human Rights Council (the Council) will hold its 40th regular session at Palais des Nations in Geneva from 25 February 2019 to 22 March 2019. Here are some highlights of the session’s thematic discussions. The Council will consider a resolution, presented by Norway, on the situation of human rights defenders working on rights related to land and environment, in particular the specific risks faced by women human rights defenders, to combat impunity for attacks against them, and ensure full civil society participation in development and the management of natural resources. The resolution should call on States to commit to conditioning the provision of diplomatic support to business – such as export credit guarantees and trade support – on companies’ commitment to respect, consult and protect defenders. It should also acknowledge the increasing willingness of some companies to speak out against threats and attacks on human rights defenders, and to raise the bar on accountability for companies who don’t. The appointment of UN Assistant Secretary General on Human Rights, Andrew Gilmour, as the Senior Official on addressing reprisals. The past year was marked by vitally important monitoring and review of China’s human rights situation by the United Nations human rights system. The upcoming session of the UN Human Rights Council provides a key opportunity for States to reinforce the issues raised over the last year, and express collective concern about worsening rights abuse in China and the government’s failure to follow through on its obligations and commitments. The Council will consider several reports on torture, including the annual report of the Special Rapporteur, the reports from his visits to Serbia and Kosovo, Ukraine, and Argentina, and two reports by the Secretary General on the United Nations Voluntary Fund for Victims of Torture and the Special Fund established by the Optional Protocol to the Convention against Torture and Other Cruel, Inhuman or Degrading Treatment or Punishment. At this 40th session, the Council will discuss a range of economic, social and cultural rights in depth through dedicated debates with mandate holders alongside the annual report of the Secretary-General on the realisation of economic, social and cultural rights globally. During this session, the Council will adopt the UPR working group reports on several countries and provides an opportunity for Saudi Arabia, China, Nigeria and Chad to accept recommendations made in relation to human rights defenders, as proposed in ISHR’s briefing papers. Annual high-level panel discussion on human rights mainstreaming titled “Human rights in the light of multilateralism: opportunities, challenges and the way forward” which will take place on 25 February at 16:00. Biennial high-level panel discussion on the question of the death penalty, titled “Human rights violations related to the use of the death penalty, in particular with respect to the rights to non-discrimination and equality” which will take place on 26 February at 09:00. Reconciliation, accountability and human rights in Sri Lanka, organised by Forum-Asia, will take place on 28 February, at 14:00 (time and location TBC). This side event aims to provide the international community with information on the Government’s implementation of the resolution 30/1 from the perspectives of civil society, and share proposals for further action by the Human Rights Council. Counter terrorism laws and civic space, organised by the Civic Space Initiative (A19, CIVICUS, ICNL and WMD) and will take place on 1 March at 10:30 (time and location TBC). Escazu and Beyond: Strengthening the global normative framework on protecting environmental defenders, organised by CIVICUS and will take place on 5 March at 11:00 (time and location TBC). The side event aims to bring together civil society representatives, UN bodies and State representatives to discuss their intersecting role in promoting and protecting civic space for environmental defenders. Saudi Arabia : Time for accountability, organised by the Right Livelihood Award Foundation, to take place on 4 March. Film screening of the Long Haul: a documentary tribute to human rights activist and professor Sir Nigel Rodley, organised by the International Commission of Jurists and the Permanent Mission of the UK. It will take place on 7 March from 13:00 to 15:00. South Sudan: No sustainable peace without justice, organised by DefendDefenders. It will highlight ongoing grave violations in South Sudan despite the signing of the Revitalised Peace Agreement, lack of domestic accountability, and the need to renew the mandate of the UN Commission on Human Rights (CoHR) in South Sudan. It will take place on 8 March from 13:00-14:00 in Room XXIV (time and location TBC). Human rights in Myanmar, organised by Forum Asia, will take place on 11 March at 16:00 (time and location TBC). Defenders from Myanmar will present their perspectives on the next steps the Human Rights Council should take to ensure justice and accountability for mass atrocity crimes, to address root causes, and provide support for victims. Human rights in Malaysia, organised by Forum Asia, will take place on 13 March at 13:00 (time and location TBC). Following Malaysia’s UPR in November 2018, civil society from the country will suggest steps for the government to implement its UPR recommendations, while engaging with civil society and the national human rights institution in the process. If you want to stay up-to-date: Follow @ISHRglobal and #HRC40 on Twitter, and look out for our Human Rights Council Monitor. On 5 December 2018, the North Africa Post reports that two United Nations rights experts have denounced the Egyptian government for its reprisals against human rights defenders who dared to talk to a visiting UN delegation that was enquiring on housing in the North African country a month ago. 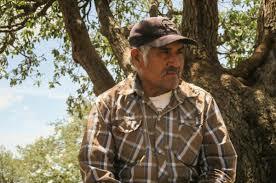 The reprisals included housing demolitions and arbitrary arrests, against human rights defenders and others. Special Rapporteur on the right to housing, Leilani Farha, said she had been “shocked” by Egyptian reprisals against the Egyptian human rights defenders she met during her visit. Egypt “failed to adhere” to the assurances it provided to her, that “no person would be harassed, intimidated or subjected to reprisal for meeting or providing information” to her – or others in her official delegation, a UN press release said on Tuesday. “I am shocked that after my mission a number of families from two communities I visited have suffered forced eviction contrary to international human rights law,” she was quoted as saying in the press release. According to the Special Rapporteur, several multi-storey houses have been demolished, furniture thrown into the street, and residents made homeless. Reportedly, adequate notice was not provided to victims, or any compensation, or new accommodation. Excessive force was also allegedly used by security forces against residents when they refused to leave their homes. “Among those targeted were several houses and apartments belonging to family members of community leaders with whom I met while I was on official mission,” said Ms. Farha. “Human rights defenders and lawyers working on the right to housing also reported that they have been followed and photographed by persons unknown to them, to have received anonymous and threatening phone calls, or have been summoned to report at police offices for interrogation,” he said, adding that one lawyer Ms. Farha had met, was subsequently slapped with a travel ban. 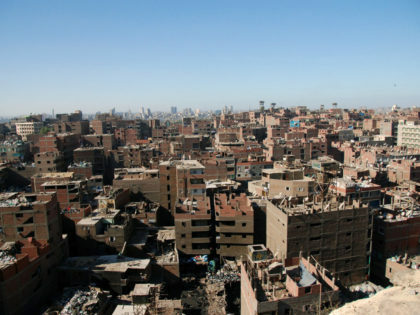 In early November, the two human rights experts raised their concerns and sought clarification regarding the alleged forced evictions and reprisals with the Egyptian Government. They have not yet received an official reply, the UN press release said. There may be still a few people who think that human rights and sports are, or should be, separate worlds but that is pipe dream. [just dee some of these earlier posts: https://humanrightsdefenders.blog/tag/sports-and-politics/]. Now Novak Djokovic and Rafael Nadal have been urged to use an upcoming exhibition match in Saudi Arabia as an opportunity to lend their support to human rights causes. The world’s top-two ranked players will square off against one another at Jeddah’s King Abdullah Sports City on 22 December 2018. While the world is asking itself literally whether Saudi Arabia will get away with the murder of dissident journalist.Jamal Khashoggi, the two tennis players have both said they’re looking forward to visiting the country for the first time – with both men set to pocket more than $1-million for the match. On it is not just Khashoggi. For the second time since July, UN human rights experts are calling on Saudi Arabia to “immediately and unconditionally” release all women human rights defenders, including six imprisoned on charges relating to their peaceful defence of human rights. The detained have been charged for being involved in pro-democracy demonstrations, and previously campaigning for the right of women to vote and drive. In late June 2018, a long-standing ban on women driving in Saudi Arabia, was lifted by royal decree, UN News reports. In a statement on October 12, the group of nine independent experts has condemned the actions of the Saudi authorities in continuing to detain the women rights defenders, “in the strongest possible terms,” calling for their “immediate and unconditional” release. A group of those indicted – Samar Badawi, Nassima Al-Sadah, Nouf Abdulaziz, Mayya Al-Zahrani, and Hatoon Al-Fassi – are being held in detention, without any channels of communication. The five were particularly active in demonstrations for women’s rights. The group of women also include Israa Al-Ghomghan, who faces possible execution despite being denied representation during her trial, and is being tried in Riyadh’s Specialized Criminal Court, an entity set up for terrorism-related cases. The United Nations human rights office (OHCHR) on July 31, 2018 called on Saudi Arabia to “unconditionally” release all those being held. The UN human rights experts did so in the context of terrorism charges – under the Unlawful Activities Prevention Act (UAPA) – laid against 10 human rights defenders working with India’s poorest and most marginalised communities, including the Dalits, and urged authorities to ensure their cases are promptly heard in line with international law. All were arrested in June in connection with investigations into a public meeting organised a day before the 200th anniversary of the commemoration of a battle at Bhima-Koregaon, an important cultural event and a symbol of Dalit empowerment. Police subsequently claimed that the human rights defenders had links with ‘unlawful organisations’. “We are concerned that terrorism charges brought in connection with the commemoration of Bhima-Koregaon are being used to silence human rights defenders who promote and protect the rights of India’s Dalit, indigenous, and tribal communities,” the UN experts said. “We are very concerned about the charges against the human rights defenders and the continuing detention of nine of them,” the UN experts said. “All have been active in peacefully defending human rights, including those of marginalised and minority communities, political prisoners, and women, and their arrests appear to be directly related to their human rights work. Surendra Gadling <https://www.frontlinedefenders.org/en/profile/surendra-gadling> a human rights lawyer and General Secretary of the Indian Association of Peoples’ Lawyers (IAPL). Rona Wilson <https://www.frontlinedefenders.org/en/profile/rona-wilson&gt; is a member of the Committee for the Release of Political Prisoners (CRPP), which has campaigned against the Unlawful Activities (Prevention) Act and other repressive laws. Sudhir Dhawale <https://www.frontlinedefenders.org/en/profile/sudhir-dhawale&gt; is a Dalit rights activist and the editor of the Marathi magazine ‘Vidrohi’. Shoma Sen <https://www.frontlinedefenders.org/en/profile/shoma-sen&gt; is a professor at Nagpur University and a long time Dalit and women’s rights activist. Mahesh Raut <https://www.frontlinedefenders.org/en/profile/mahesh-raut&gt; is a land rights activist working with Gram Sabhas in the mining areas of Gadhchiroli. On 5 July 2018, Front Line reported that human rights lawyer Advocate Sudha Bhardwaj released a statement refuting the false allegations and defamatory statements levelled against her by Arnab Goswami, news anchor and managing director of Republic TV. In a program that aired on 4 July 2018, Arnab Goswami alleged that the human rights defender was linked to Maoists. (https://www.frontlinedefenders.org/en/profile/sudha-bhardwaj). Sudha Bhardwaj firmly denied that the letter was written by her, and refuted the false allegations as defamatory and hurtful. She also expressed incredulity at the fact that the source of the letter had not been revealed, and that the letter had surfaced at the studio. She believes that the malicious and fabricated attack on her is a result of a press conference she had addressed in Delhi on 6 June 2018, condemning the arrest of Advocate Surendra Gadling. Front Line adds that This smear campaign comes as a part of an ongoing crackdown against human rights lawyers in India, especially those who work with Adivasi people and Dalits. Front Line Defenders condemns the smear campaign against human rights defender Sudha Bhardwaj, which it considers to be in retaliation to her legitimate and peaceful human rights work. Front Line Defenders expresses its concern for the security of Sudha Bhardwaj, particularly as the inflammatory allegations may motivate judicial harassment or other forms of retaliation. Over 50 Special Rapporteurs, independent experts, chairs of working groups and treaty bodies will present findings and recommendations to the Committee, and engage in interactive dialogues with member States. These reports and exchanges should inform the focus and shape of negotiated resolutions. The Committee will consider over 60 resolutions, this year focusing on a range of issues from extrajudicial, summary or arbitrary executions, to the rights of indigenous peoples, and the human rights situation in Syria. Once adopted, resolutions will pass to the UN General Assembly plenary for confirmation in early December. While opportunities for civil society to interact with the Third Committee are more limited than those available at the Human Rights Council, NGOs can attend formal sessions, follow them on UN Web TV and engage informally with individual member States. For more on the Third Committee see here. ISHR will be working to see the inclusion of positive references to human rights defenders and civil society space, in Third Committee resolutions. We will be monitoring the Third Committee closely, as well as the General Assembly plenary meetings, and reporting on key developments. Follow us on Facebook, Twitter and Instagram at @ISHRglobal and at #UNGA73for the latest updates. The first event will be about implementing commitments on human rights defenders, and it will be held on Tuesday 23 October at 1:15 p.m-2.45pm. The location of the event is to be confirmed. See here for updates. ISHR’s second event will focus on treaty bodies and the importance of ensuring transparent elections. ISHR aims to facilitate dialogue about ways to improve treaty bodies and election processes moving forward. Time and date for this event to be confirmed. See here for updates. On Wednesday 19 September (16:00-17:30 – Room XXIV, Palais des Nations, Geneva) the International Service for Human Rights (ISHR) is organizing a side event Ending reprisals: Discussion with human rights defenders and experts. This event seeks to provide a space for human rights defenders and experts to shed light on the nature and extent of reprisals and intimidation against those cooperating with the UN; discuss and expand on the Secretary-General’s report; and to consider efforts to date to address reprisals and intimidation against those cooperating with the UN as well as ways to further develop and strengthen policies and practices to prevent and address reprisals. The event is co-sponsored by the Permanent Mission of Ireland to the United Nations and the Permanent Mission of Uruguay to the Office of the United Nations.